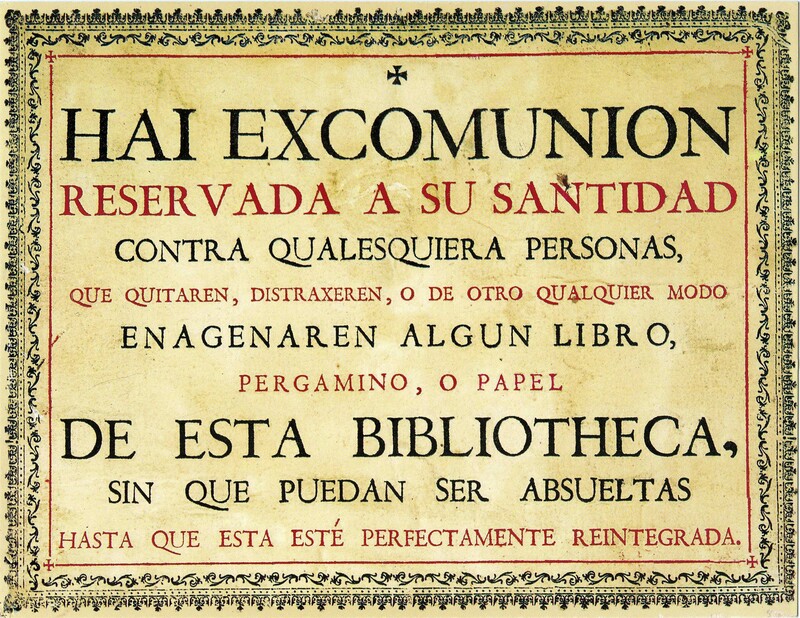 This image of a Baroque inscription in the library of the Salamanca University was donated a while ago by Wang Wei to Pei Di (or vice versa), and now as it has been found among the images waiting for being framed, Pei Di (or Wang Wei) decided to scan it for the common good, before hanging it at the entrance of his library. Excommunication – with absolution exclusively reserved to His Holiness – is imposed on whichever person taking away, stealing or in whatever other way expropriating any book of paper or parchment from this library, without being able to be absolved until completely restoring them. 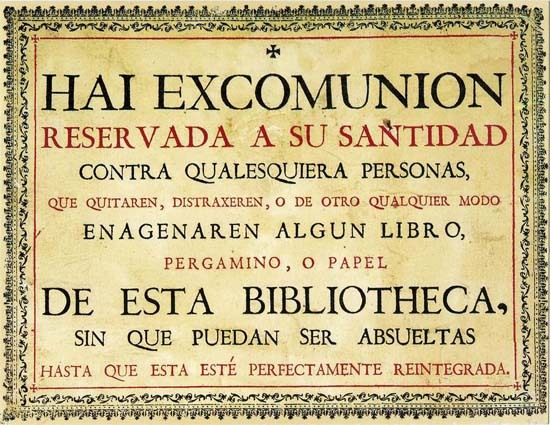 Para aquel que robare un libro de esta biblioteca, que en su mano se convierta en serpiente y lo desgarre. Que quede paralítico, y que estallen sus miembros. Que languidezca en dolor, aullando por misericordia, y que su agonía no cese hasta que se hunda en la disolución. Que los gusanos de los libros roan sus entrañas como el gusano que no muere, y cuando finalmente se vaya al castigo final que las llamas del infierno lo consuman por siempre y para siempre. “Has the world made any progress by means of the books?” Perhaps this much, yes.